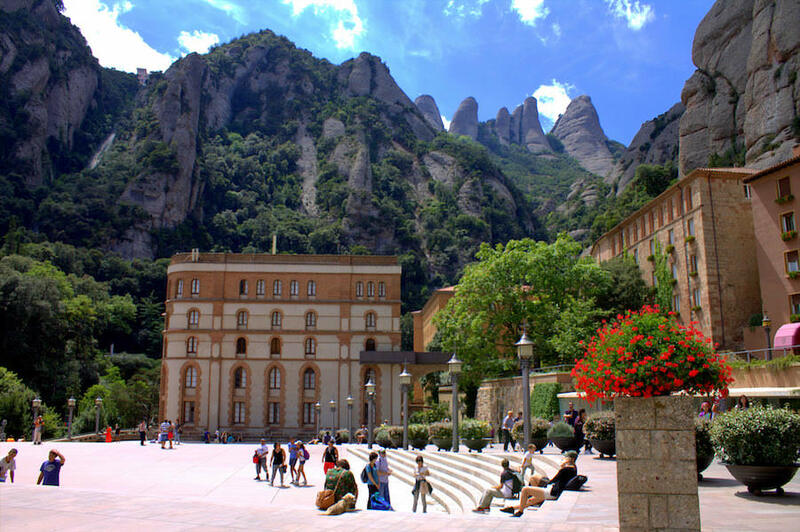 The iconic Montserrat in Catalonia, Spain, not to be confused with mountainous Caribbean island, is an exquisite site to visit. At 1236 meters high, this fairy tale like spiritual retreat is the highest point of the Catalan lowlands. 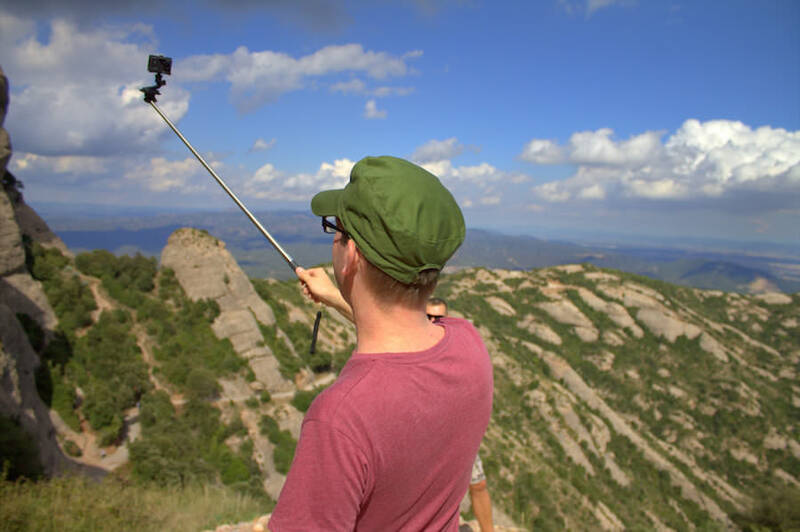 Surrounded by natural park and shaped by nature’s elements, the Montserrat rock formations are a ‘must see’ sight, if not for religious reasons then simply for the breathtaking panoramic views across Catalonia. 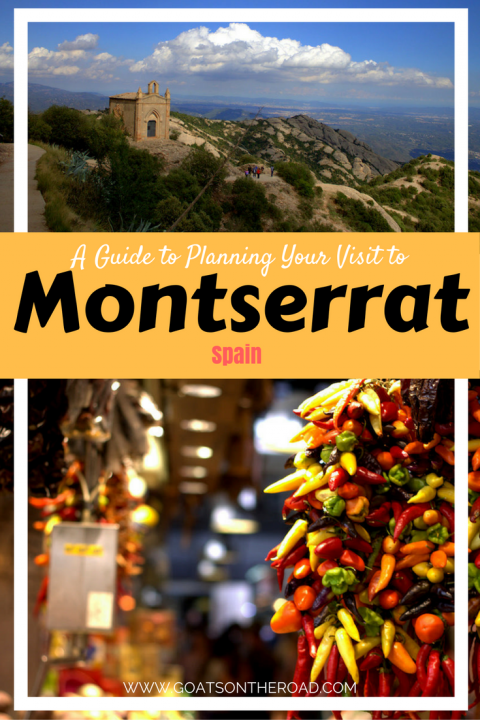 Here are some top insider tips for planning a trip to Montserrat in Spain. We suggest setting aside one whole day, it’s a truly spectacular place. 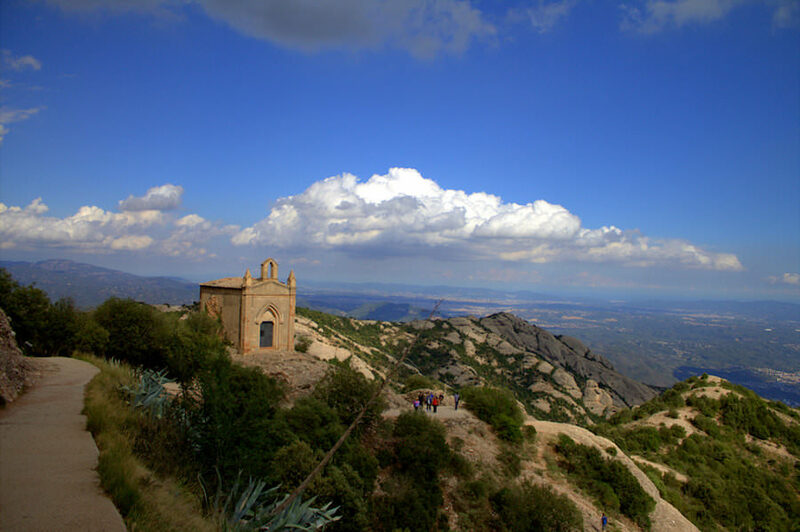 Apart from the picturesque surroundings and gorgeous Santa Maria de Montserrat, the abbey itself, there are also two trails to take around the mountains with panoramic views across the valley. You will want to arrive to Montserrat as early as possible. The place is relatively small and gets crowded with visitors, which means long queues all over Montserrat later in the day. The overall journey, depending on the season, can take from 1.5 hours up to 2 hours from Barcelona, including waiting time at the cable car, so don’t leave too late before you set out. 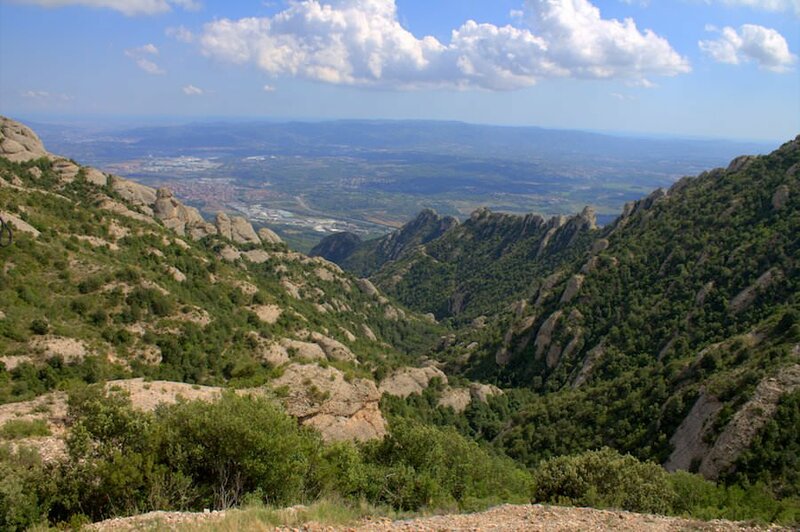 Montserrat is located approximately 30 miles (48 km) away from Barcelona which makes it perfect for a day out. It’s easy to access the foot of the mountain via road by bus (from the Plaça de la Universitat) or car. 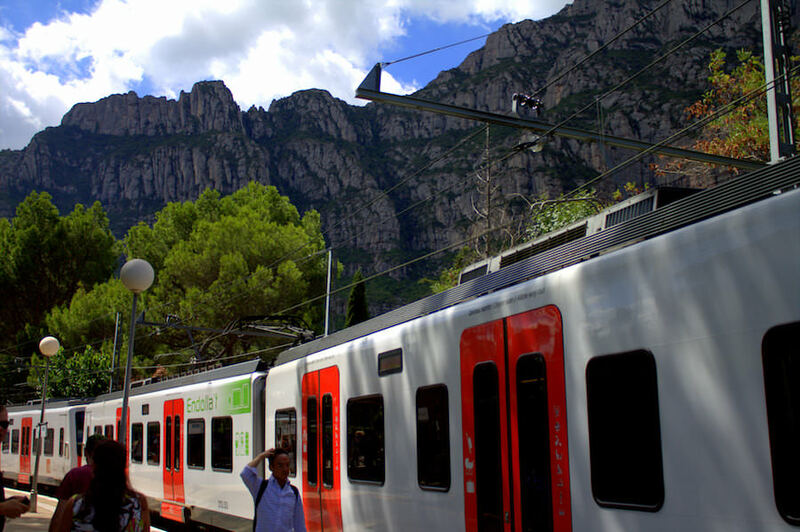 One of the most popular ways of getting to Montserrat is by train from Plaza Espanya rail station. Trains leave the station every hour. Once you’ve bought your tickets, look for Line R5 and hop on the train going towards Manresa. This part might seem a little confusing, but it really isn’t. You just need to purchase your tickets at the ticket machines rather than the ticket office. The ticket office in the station sells just tour tickets. You will also need to decide whether you want to get to Montserrat via the cable car or the funicular railway. 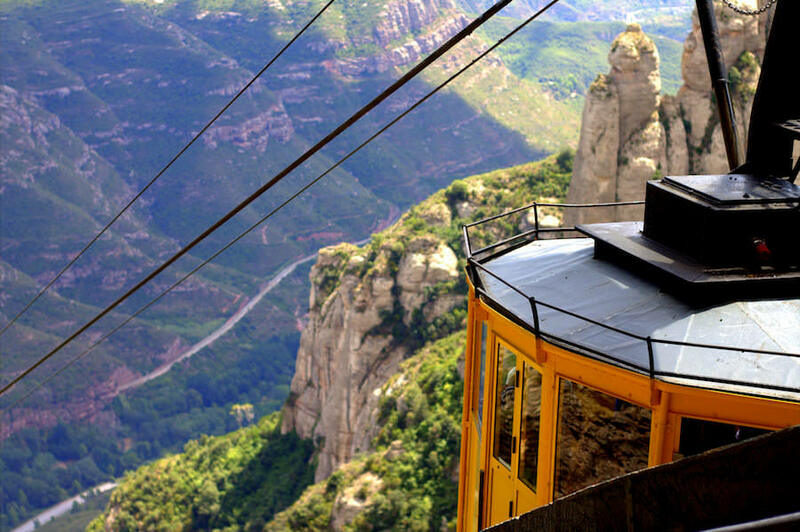 We purchased the second ticket option and while we can’t say we saved money by doing so, we did save time and hassle when using the two funiculars in Montserrat – Funicular de Sant Joan and Funicular de Santa Cova. Otherwise, tickets for these have to be purchased separately. 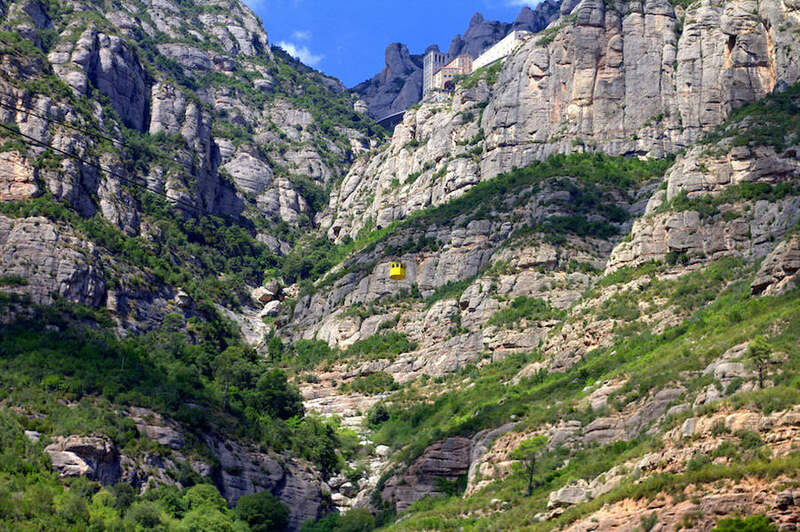 The train from Barcelona will drop you at the bottom of the mountain at Montserrat AERI station. The cable car station is just round the corner from the train station, a 2 minute walk at the most. Aeri de Montserrat. While it’s fun to take the cable car, there are only 2 cars, one going up the mountain and the other one going down. The cable car is a little dated and there’s not much space inside. The journey itself only takes around 5 minutes, but the queues can be lengthy, especially during holidays (we waited for around 40 minutes before boarding). Despite the wait and lack of space, the journey was smooth and the views of the valley below were breathtaking. Cremallera de Montserrat.The train from Barcelona stops at Monistrol de Montserrat, one stop after Montserrat AERI. 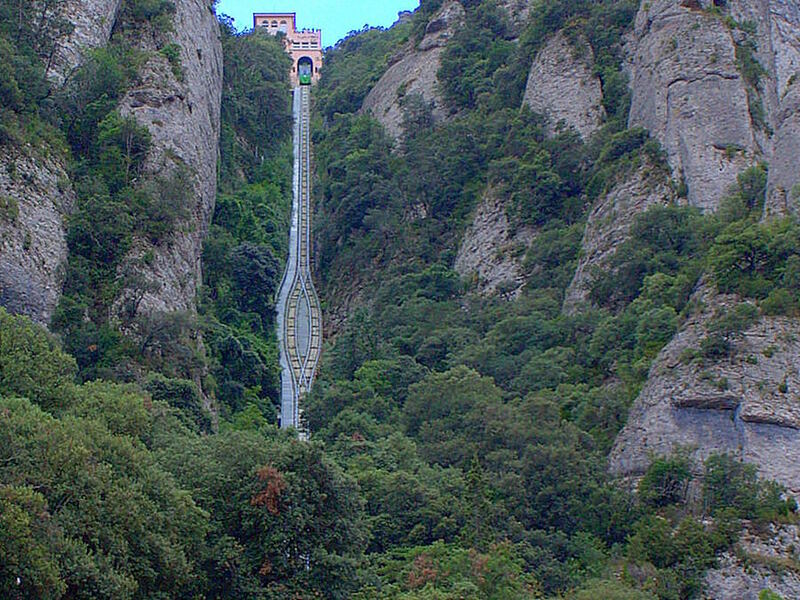 From here you will get on the Cremallera de Montserrat which will take you all the way to the Montserrat. The views of the valley will also be stunning. The total journey from Barcelona takes around 90 minutes. If you are driving, you will want to park at the free Monistrol Vila parking lot. 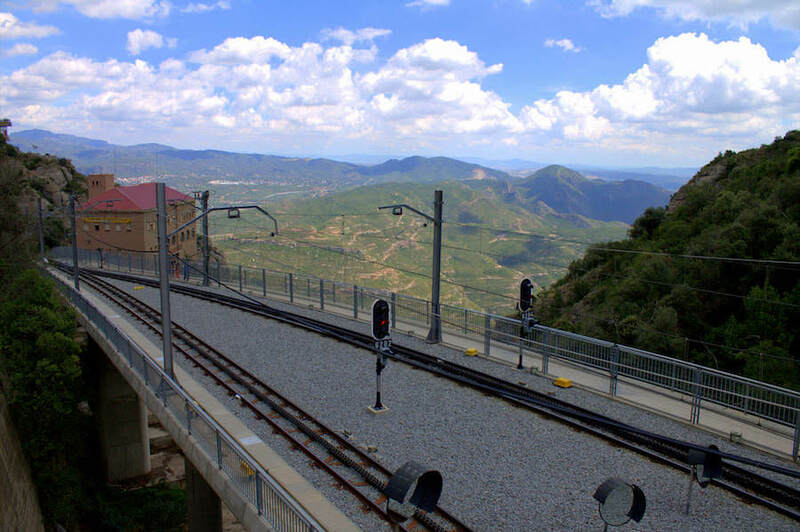 Here you will also be able to buy your rack railway ticket for Montserrat. 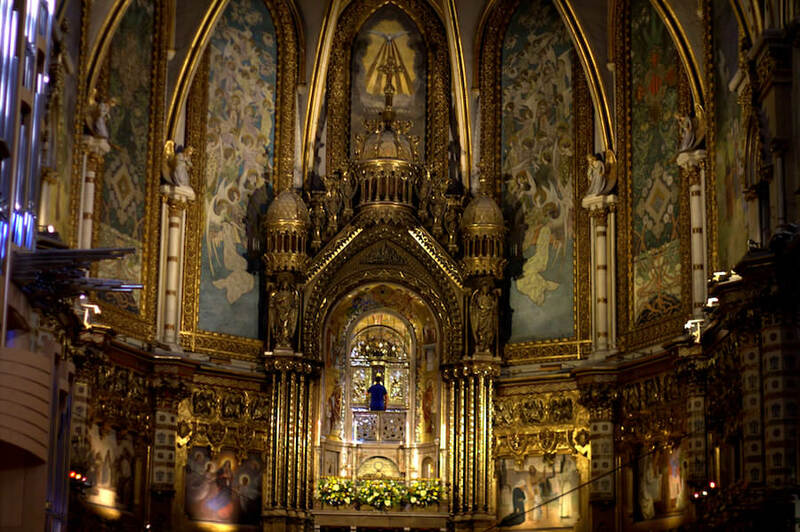 First things first, inhale the beauty of Montserrat once you reach the centre of this stunning sanctuary. Look around, admire the architecture and surroundings and then choose your route. We recommend visiting the architectural monuments first and then head up to the walks in the mountains. Also referred to as Black Madonna, this Romanesque, wood carved statue has a monumental significance in Montserrat. It’s believed that this world famous statue was carved in Jerusalem in the very early days of the church and the whole Montserrat complex is built up around it. Even if you are not religious, the setting itself is worth a visit. However, make sure you leave enough time here as you might need to queue for up to an hour before you get to kiss Black Madonna’s hand. Once you had a glimpse of the Black Madonna, don’t rush out of the Benedictine abbey, it’s absolutely stunning. Enjoy the glistering details and tranquility. When walking out of the abbey through the main door, turn right into a narrow passageway where you will see hundreds of burning candles. For a small fee you can buy one yourself to light and place amongst other flickering colourful candles. 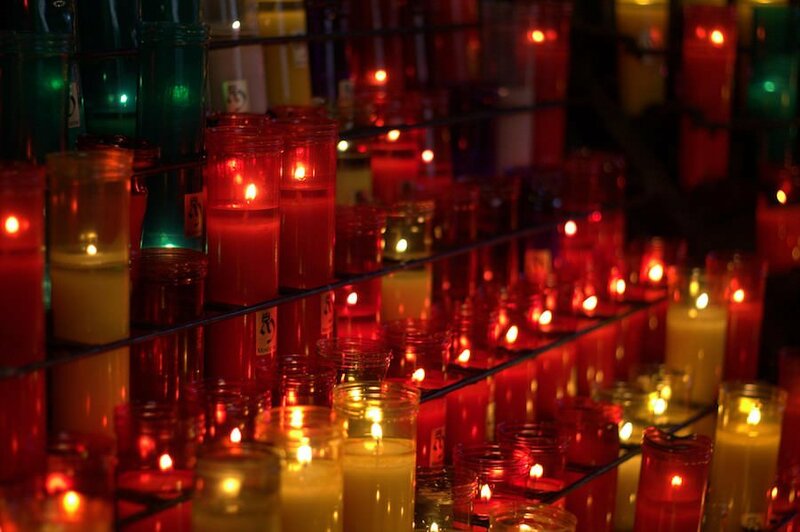 It’s customary amongst catholics to light a candle for their loved ones, wishing them well and for departed relatives, wishing them peace on the other side. 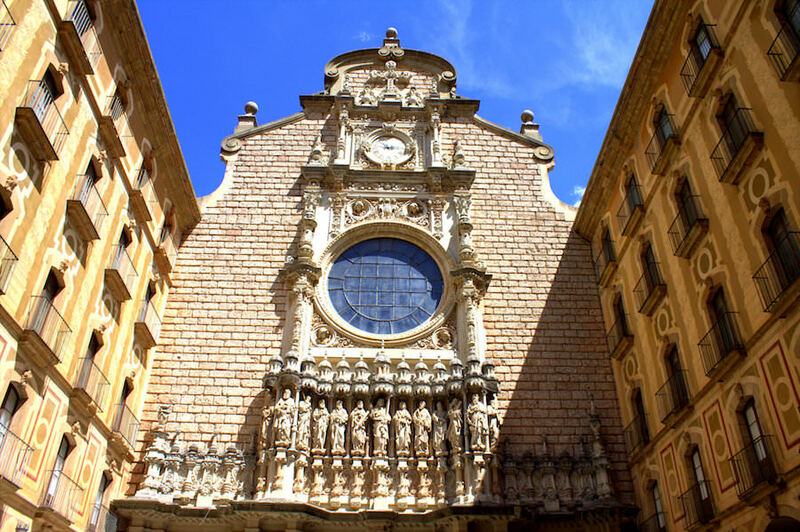 If you love history and museums, have a nose around the Montserrat Museum which houses six permanent collections of more than 1,300 artefacts as well as temporary displays. 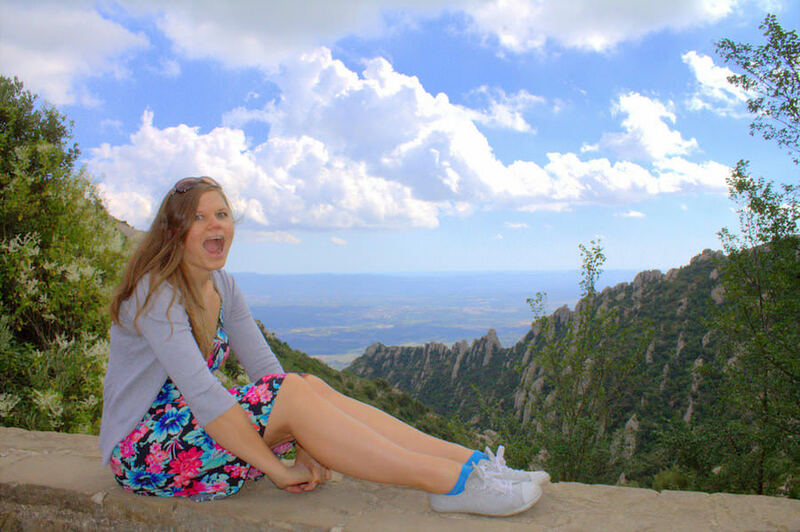 At 1,236 m, Sant Jeroni is the highest point of Montserrat. 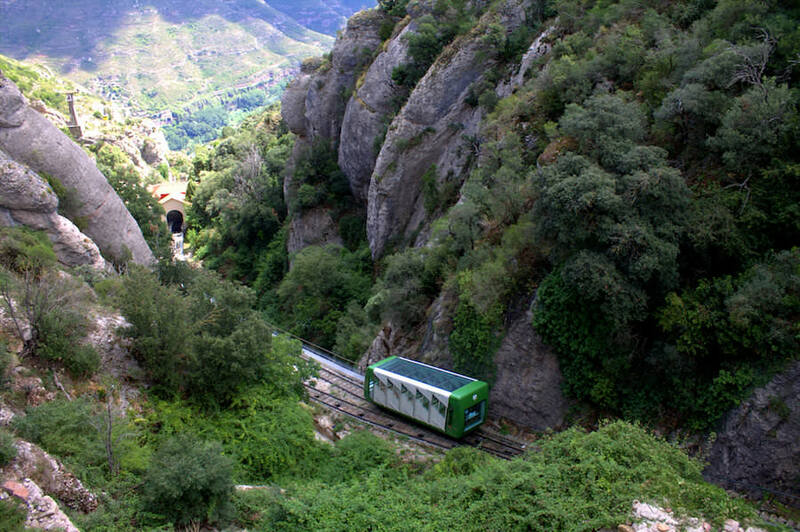 The easiest way to reach the first base of the mountain is to take the vertical Sant Joan funicular railway up. It’s around a 2.5 hour trek if you use the funicular railway, otherwise reserve around 3.5 hours if you are hiking all the way up, depending on your fitness level. We highly recommend the trek, the views are simply spectacular from up there. If you aren’t up for a long trek, you can take a shorter route which leads to a great viewpoint and the beautiful Sant Joan Chapel. It takes a bit of climbing up a 100m long hill, but it’s easily done and is quite a beautiful walk with the incredible rocks sticking behind you as you climb up. To reach the trail, again take the Sant Joan funicular railway and follow the signs. Take the Santa Cova funicular railway to get down to the famous Rosari Monumental, home to some of the most important modern Catalan sculptures by Antonio Gaudi amongst other famous artists. The journey is a scenic winding ride with more stunning panoramic views which, as we learnt, you are never short of in Montserrat! The legend has it, that an image of Virgin Mary appeared on the rock in the area and a chapel was built to mark it. Since 1929 pilgrims have been making their way down on the funicular to visit this symbolic place. If you are a train geek, like Charlie, you can also pop into the exhibition about the funicular railways around the world. The exhibition is based in the lower Santa Cova station. 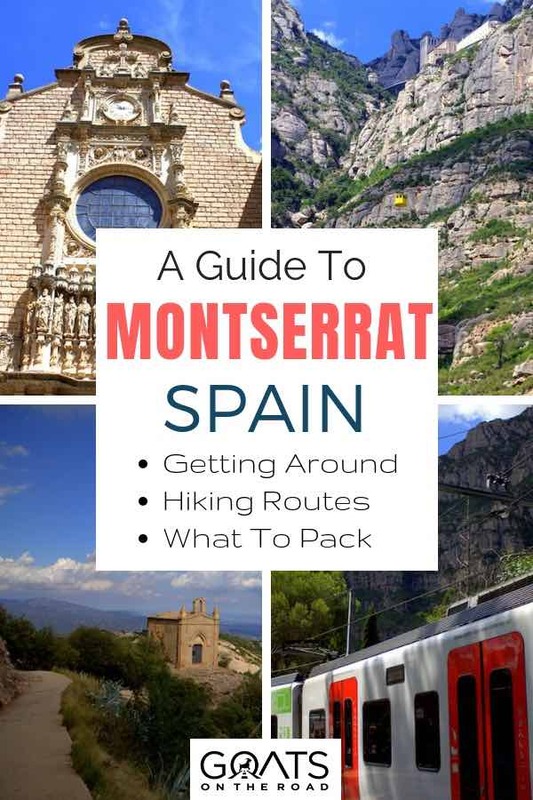 Despite the rocky appearance of Montserrat, you don’t really have to wear anything hard-core, unless you are planning to do some serious hiking and climbing away from the main trails. However you should cover your shoulders when entering the abbey out of respect. Wear comfortable footwear for travel, it will allow you to enjoy the walks and the climb to the highest peak of Montserrat. 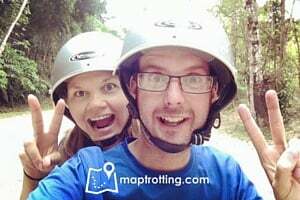 The footpaths are well maintained and not too strenuous, but you might want to be more adventurous in places and descend through the rocks rather than the footpath. There’s good quality food and drink available in Montserrat, but it can be a little pricey. If you are on a budget, pack some snacks to take with you. 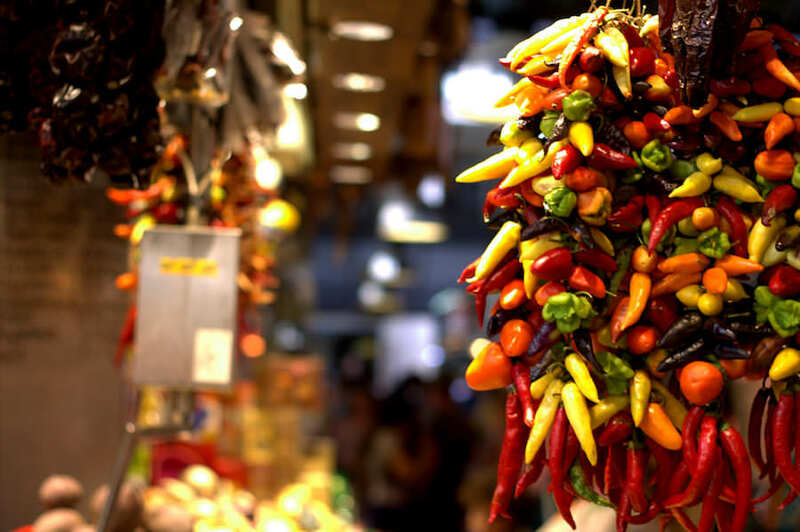 Markets and bakeries in Barcelona are packed with amazing food so shop around the day before visiting and pull together a little picnic. Then you will only need to stop for a tea/coffee break. Fantastic pictures! Looks so amazing. Making a pilgrimage early October! Will be there for one day. Beautiful! 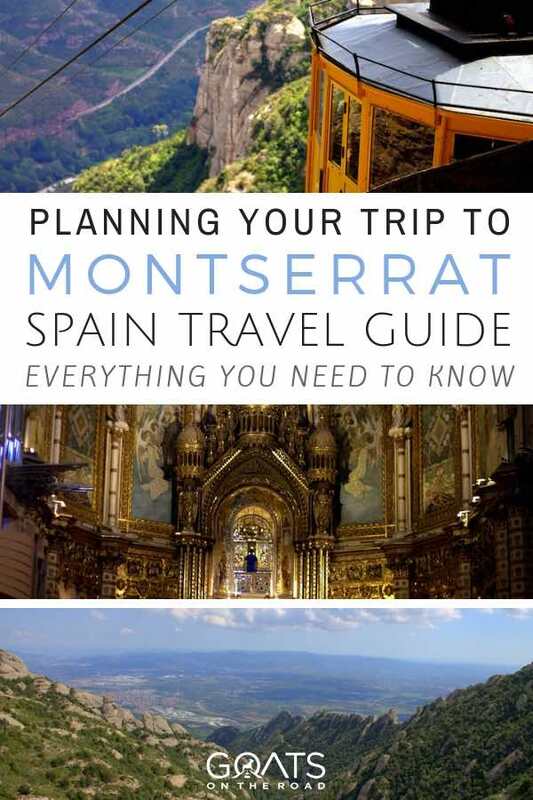 I’d love to visit Montserrat. It looks so unlike Spain. I mean what I have mostly heard of Spain is very beachy and party kind of place. But I’m glad there’s so much of natural beauty to take in! Hi. 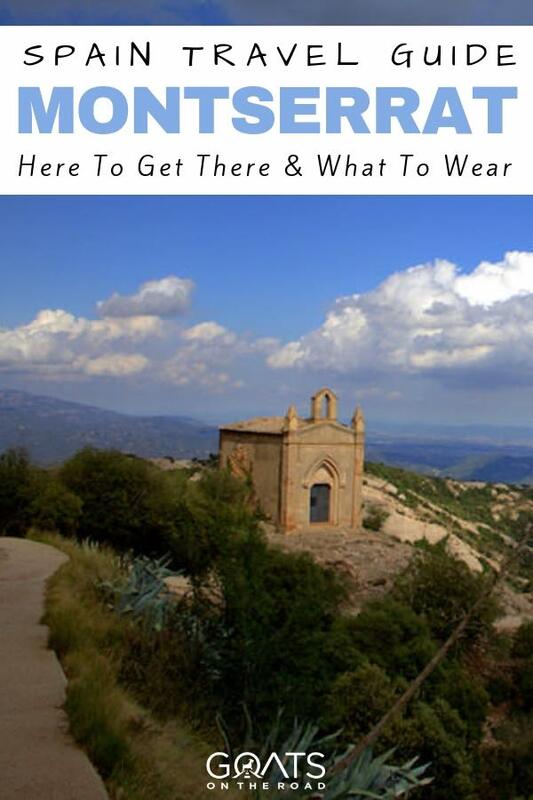 What’s the temperature when hiking Montserrat; does it get cold as u climb up? Shorts, T-shirt with light jacket OK?